Here’s our expert advice for replacing your period property windows. Do Your Period Home Windows Need Replacing? When window frames made from natural wood show signs of weathering, it’s possible to invest in restorative work, but there comes a time when replacing the windows is the more viable option. While it’s possible to maintain the look of the original frames with a lot of care and attention, having frequent inspections and repair through the year will take up time, not to mention the hassle and costs involved. If the wood is rotting, warped or has developed other issues, it’s time to eliminate the problem for good. Old fittings can often let in a draught, reducing comfort in the home and its overall weather performance. Modern glazing has allowed households to increase their energy efficiency rating, keeping rooms warmer in all weathers. If your windows are jamming or aren’t sufficiently secured, you’re putting your property and safety at risk. Modern windows and doors have multi-point locking systems to reduce the chances of a break-in. Over the centuries, wood has been a popular material for window frames, but it does require more upkeep than more modern offerings such as uPVC and aluminium which don’t need repainting, staining and have a simple ‘wipe clean’ policy. That said, timber frames have come a long way in recent years and are incredibly durable if looked after well. Luckily, there’s an alternative, providing the ideal compromise between traditional looking windows and low maintenance materials. 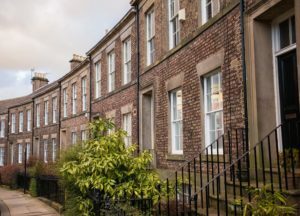 Modern technology and manufacturing have advanced so that period properties can upgrade the performance of their windows while still retaining the aesthetics of the originals. Aluminium and uPVC sash windows are still one of the most requested glazing styles, while Residence 9 are offering heritage style windows which mimic the appearance of their original counterparts. Not only that, but they bring bucket loads of functionality to a home, including high-security standards and acoustic performance. If you want to replace the windows in your period property or undertake a conservation project, get in touch with our window specialists here at Merton Windows. We understand that in listed buildings, the process can be more complex, so we’re happy to talk through your options with you. If you’re living in a period home in London and Surrey locations such as Southfields, Wimbledon or Worcester Park and you’d like to replace your windows and doors while retaining the charm of your property, there are plenty of options we can show you. To speak to our friendly team, get in touch today.